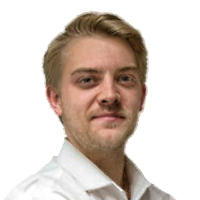 Tyler graduated from the British school of osteopathy in 2013 with a passion to assist people to improve their health. Tyler believes that everyone, with the correct nutrition, exercise and manual therapy can be helped to better their physical capacity, improving performance and reducing their pain. Since qualifying, Tyler has undertaken multiple fields of study including: cranial and visceral techniques, pediatrics, nutrition and IDD spinal decompression therapy. In addition, whilst spending time in chiropractic clinics he has developed X-ray operation and analysis and advanced spinal techniques. Tyler enjoys building patient rapport in order to understand the journey that has lead them to seek care and help them to achieve their goals.